Listen pup, wrongdoers. 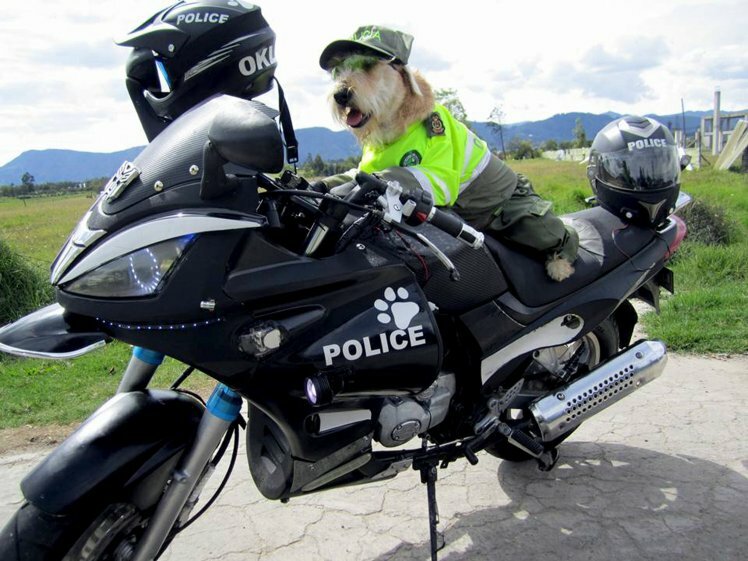 There’s a new dog on the force and he deals with any and all situations with the necessary ruffness. Once upon a time, Azul was a stray struggling to survive out in the Suba district of Bogota, Columbia. Scared and alone, he may not have been able to keep going for much longer. Thankfully he was rescued. Military reservist Nicolas Alejandro Walteros found the shnauzer pup and decided to take him in. 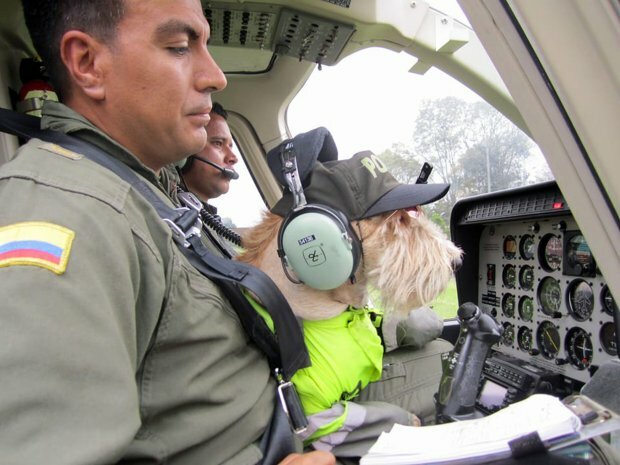 But rather than giving the dog a free ride and a cosy home, Nicolas decided to give Azul a job so he could pay his way. Nicolas recommended Azul to his friends on the police force, who were more than happy to welcome him to the team. 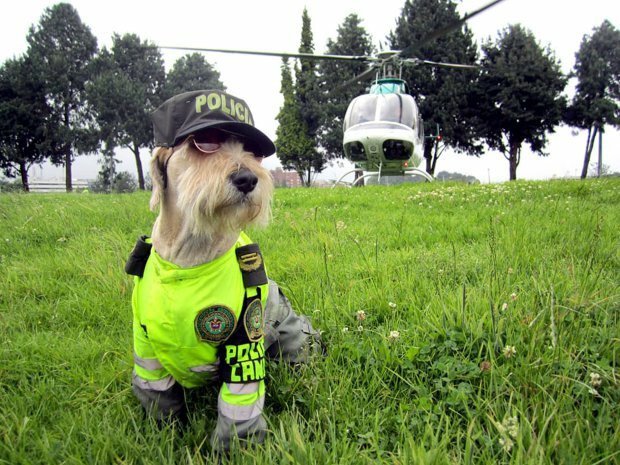 Azul was given his own uniform, complete with a high-vis shirt, a police cap, badges, and, of course, sunglasses, alongside his own patrol route. After going through rigorous training, he’s been allowed out in the field and has been welcomed into the group. 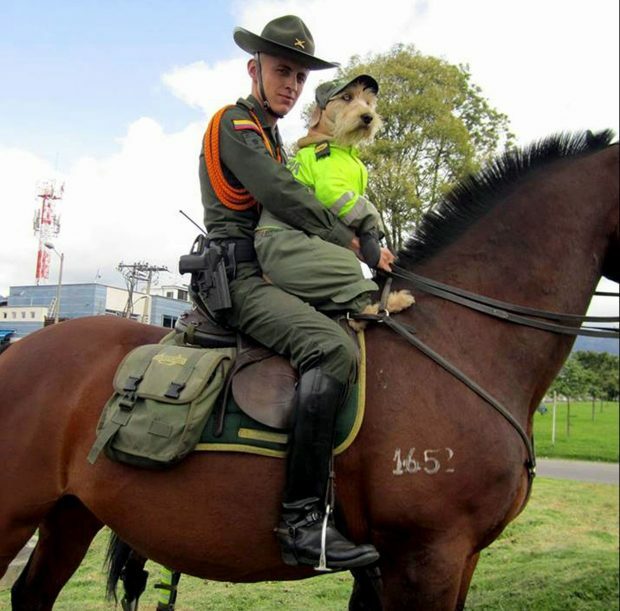 He now spends his days patrolling the city by paw, horse, and bike. Azul also occasionally joins the rest of his squad in the helicopter when duty calls, and makes sure to take the time to greet civilians and pose for photos. 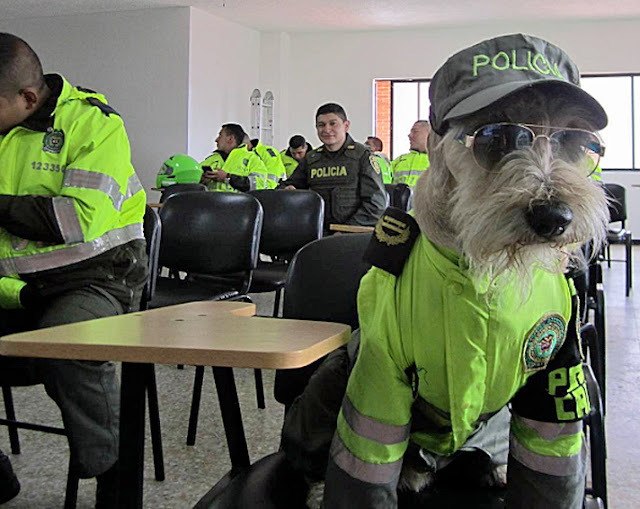 Responses to "Dedicated stray dog gets rescued and lands a job on the police force"